If you thought a talking wall-mounted bass was creepy wait until you see this artificial intelligence hack one design teacher made to his Amazon Echo. 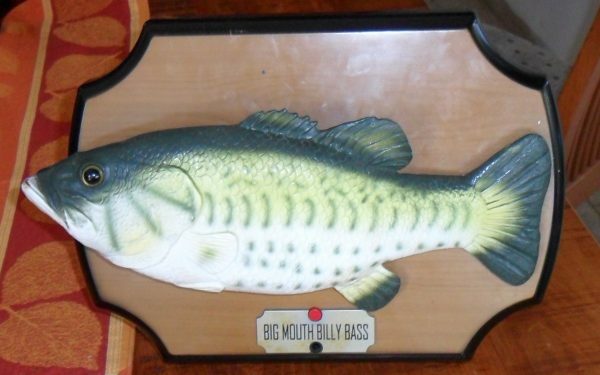 The result is a Big Mouth Billy Bass that can talk. In a video recently posted to youtube, Brian Kane shows how the Billy Bass will answer a question about the weather. It’s an impressive hack and one I’m sure many of you would like to perform, but it’s going to take quite a bit of knowledge. As Kane explained to Mashable, he is a teacher at Rhode Island School of Design and the project uses an open-source platform typically used to create interactive electronics. “We’re looking at AI as artists and designers, making new experiences and using the design process to find out what life can be like in a world of intelligent machines,” he told the site. It’s an interesting to take on these new in-home devices, but we’re not sure people would really draw a connection to a talking bass. The idea of hacking talking animated toys has been something tech nerds have been pulling with talking dolls for quite a while including the widely popular Teddy Ruxpin hack.